BadmintonForums.com - Merendi Networks Inc.
BadmintonForums.com is an online discussion community dedicated to the sport of badminton. 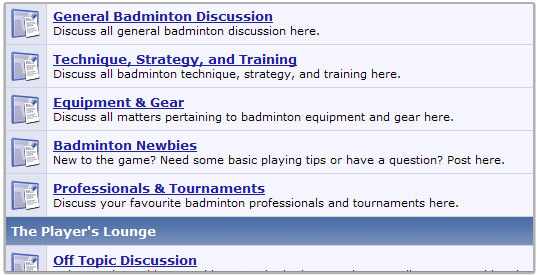 BadmintonForums.com provides a platform for badminton enthusiasts to discuss the wonderful sport of badminton. The forum covers everything badminton related with forum topics such as Technique, Strategy, and Training, Equipment & Gear, and Professionals & Tournaments. Copyright © 2008-2018 Merendi Networks Inc. All rights reserved.